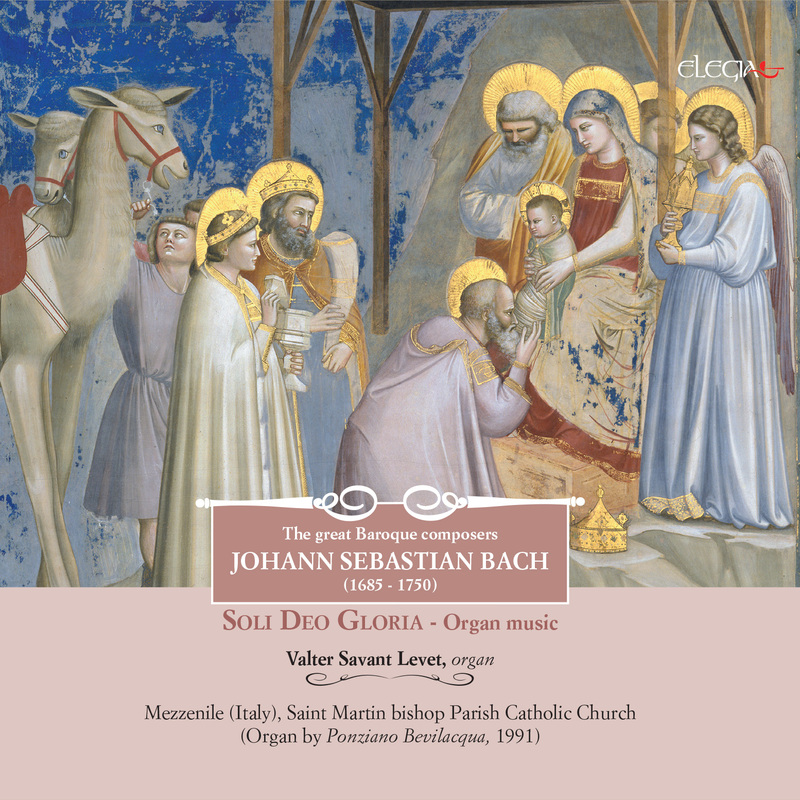 S.D.G, acronym for Soli Deo Gloria, was the sign Johann Sebastian Bach used to end his composition. This to underline the fact he wasn’t composing for his own interest or vanity but with the only purpose of glorifying God. Bach’s music can’t be fully understood without considering his extraordinary skills as a performer. This is even more important when we look at his pipe‐organ productions where his technique allowed unconceivable outcomes. Just to mention one example, Bach was a real innovator for what concerns the use of pedals as before him they were limited to a mere harmonic support. Bach’s compositions for pipe-organ can be distinguished following two different fronts, one is based on choral, the other (fugues in particular) is not. What these two current have in common is some sort of sonic joy expressed in a quite wide variety of musical forms. The scores contained in this CD offer a portrait of this variety of styles, results of an unmatchable artistic flair that still nowadays place his production at the centre of western musical tradition.